San Jose, CA, March 22, 2017 – Alcohol distribution has not changed since the inception of the three-tier system at the repeal of Prohibition in 1933. 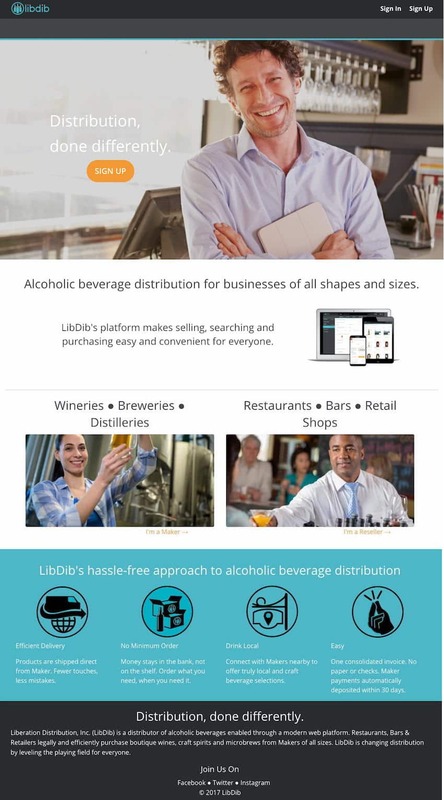 Today, a new path to distribution is available to beverage alcohol suppliers with the unveiling of Liberation Distribution™ (LibDib™), the first alcohol distributor and technology company to offer a three-tier compliant web-based platform. With LibDib, any maker of specialty wine, craft spirits and micro brews can easily set up distribution.